Today I’m joining in with Aleigh from For the Joy of Life and Hannah from Honey and Betts for the Thankful Heart series! Be sure to scroll down to see all the beautiful post full of gratitude! Messy things tend to cause me anxiety. I have OCD tendencies and when things aren’t exactly where they should be, I get a little frantic. Clutter makes me anxious and it’s hard for me the relax when I know there are things to be picked up. But recently I read something about gratitude in regards to the things in life that are usually seen as annoyances or irritants. It put them in a different perspective and when I looked around me, I felt a slight change in my mindset. A messy house means we have a home to live in. Clothes on the floor means that we have clothes in the first place and that my family is warm. Dishes in the sink means we have food in our bellies. Toys covering the floor means my child was happily playing. Water splashed on the floor means we have a way to keep ourselves clean and healthy. It probably also means my child was happily playing there too! So many things that I usually look at and begin to stress over suddenly become beautiful. We are so very blessed to have not only what we need, but even more than that. 2) Visit and comment on at least 5 other blogs. This link up is meant to create a blog community so don’t be shy! 3) In your post, please either share The”Thankful Heart” button above by inserting the code or link back to this post on your blog post. 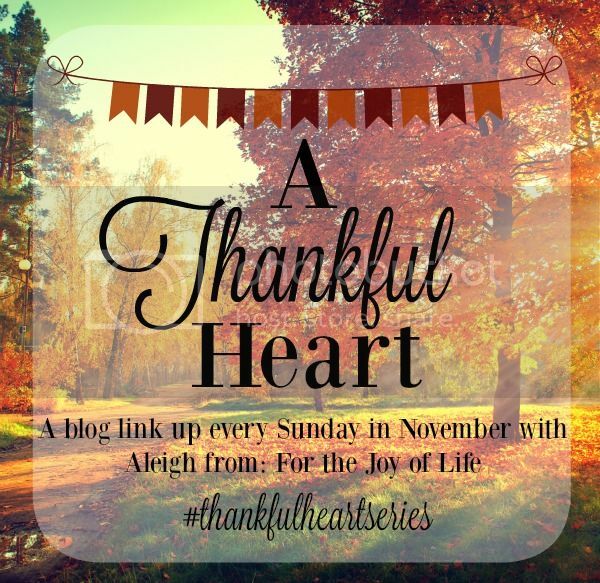 thankfulthankful heart serieswhat are you thankful for? That action shot of your little is awesome!! Craziness ensues and it is so easy to get caught up in the "my house isn't picture perfect" downward spiral. Right after my Little was born my mom gave me a tea towel that i leave hanging on my oven it says: Good Moms have sticky floors, dirty ovens and happy kids. Such a simple yet purely good reminder to enjoy the messes! I can totally relate about having a messy house and feeling overwhelmed that it's not clean, but you're right that's where memories are made!